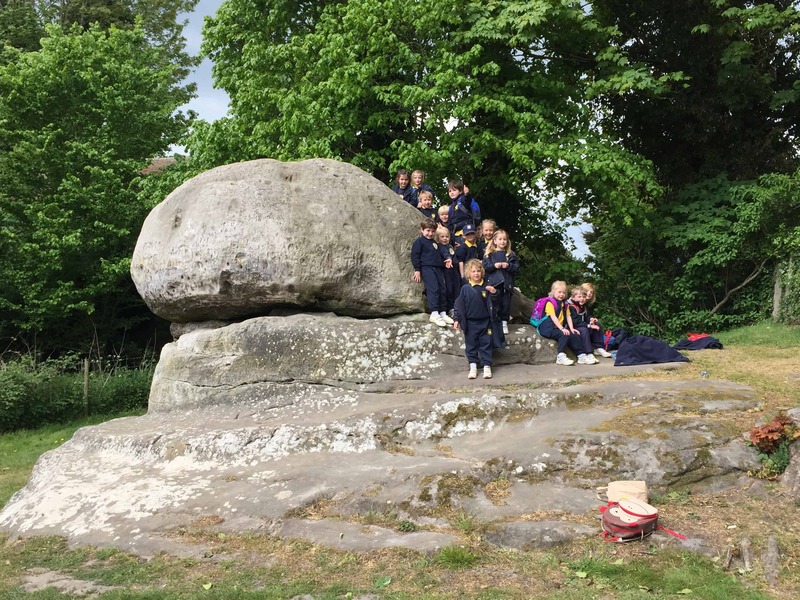 Reception & Year 1 enjoyed their class trip to Chiddingstone. The children were lucky enough to go and watch a play at the Literary Festival, followed by a wonderful picnic. They then went to explore a village and this picture was taken of them once they had found the Chidding Stone!